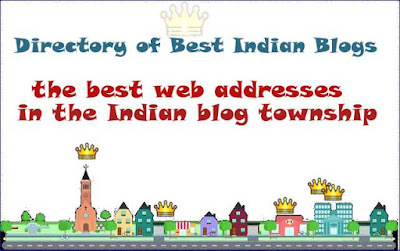 IndianTopBlogs was started in 2010 end mainly to showcase top Indian blogs. In the meantime, we got support from some friends and expanded it into reviewing blogs, showcasing blogs by publishing posts exclusively on individual blogs, publishing tips on almost all aspects of blogging, social media discussions and so on. We also carried social media and blogging updates on almost weekly basis. At one time, we also offered some stock photos for free. We also reviewed a thousand blogs in detail and another thousand with quick observations. In doing so, we received patronage of bloggers not only from India but from a number of other countries. We also received a few offers for purchase of ITB, but to be frank they were not lucrative. Offers also came for affiliations and placing product ads; we did not accept any because they did not meet our ethical standards. However, we ran a series of social ads for free. We reviewed a number of programs and software, and we carried prominent disclosures about our dealings with the product producer/ seller. ... and limiting our scope of work. We have decided to focus on finding good Indian blogs and running the Directory of Best Indian Blogs and the Directory of Best Hindi Blogs. Besides, we will continue to carry blogging tips in Hindi that we already have on the blog - we would update them and add some more but rarely. As for our archives of about 700 posts, we are deleting half of them because they were transitional in nature. Of the rest, we have freely shared most of them with a dozen Indian bloggers who have been writing on blogging and social media - and they will be free to use them as they like, and give us credit if they use the posts without their own editing/ contribution. We are retaining our posts relating to our observations on Indian blogosphere. Posts relating to directory compilation and lists specific to different niches will also be there. The observations on Hindi blogosphere will also be available. We had stopped receiving comments, but we would like to receive blog recommendations and also your valuable feedback on directories. We have opened the comment box again. Do write to us. Indian Blogs: Slipping or growing in their number and influence? हिंदी ब्लॉगिंग के संसार में हमने क्या पाया? Hindi blogging: what is happening here? हिंदी के सर्वश्रेष्ठ ब्लॉगों की डायरेक्टरी में है क्या? This work by indiantopblogs is licensed under a Creative Commons Attribution-NonCommercial-ShareAlike 3.0 Unported License. The licence is based on a work at indiantopblogs.com. The work is also protected under DMCAct. You are free to quote ITB; we'd appreciate if you give a link to the original post.